WARNING: Some may find the content of this article very disturbing. As 9/11 approaches, tensions always rise. This year however, the tensions are even higher than in previous years. With the emergence of ISIS and growing Jihadist movements in nations like Somalia, Nigeria and Libya, the fear that there will be attempts on western interests and cities has increased significantly. The big question always is, how do you distinguish between credible threats and sensationalist theories? At what point does it become too much. Yes we all need to be vigilant, but we also need to be careful that we don’t make everyone crazy. This is an issue I am considering even as I write this piece. At what point am I going from providing a service to doing damage to the morale of good people? There are two types of people making statements. Those with sources and knowledge, and those with theories and ideas. I fall into the second category. When I discuss this coming September 11th I do so based on what I see, what I think, and what theories I believe to be realistic and often even likely. Personally, and I know I am not alone on this one, I see this September 11th as being the most dangerous one since the attacks in 2001. We have already been attacked by ISIS through the very murders of 2 American journalists. But with some of the theories out there, as the day approaches it becomes more and more difficult to feel safe. The first of the 2 most prominent concerns is the report that states that information was recovered from a laptop indicating that Muslim terrorists were looking to create a way of weaponizing the Bubonic plague, something that could result in horrifying deaths in mass numbers. 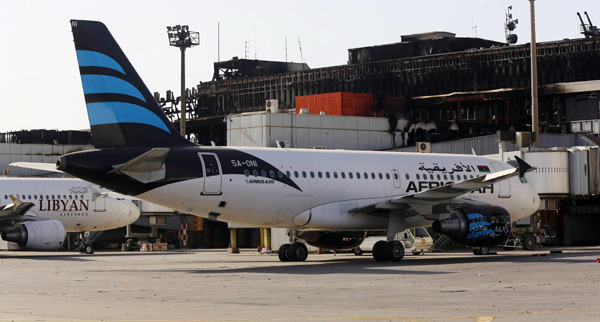 The second of the concerns revolves around the report that as many as 11, yes I said 11 commercial airlines have gone missing from the airport in Tripoli, Libya, a city recently capture by Jihadists. If this is the case, and there are 11 enormous weapons out there with their sights on population centers, the potential outcome is indeed terrifying. It is at this point in writing I decided to place a warning in the beginning of the piece, because as I write this I too feel intense fear at what might happen. To be honest, even if it is attempted and thwarted it is still terrifying. I’ve said it before and I will say it again. World War III has already begun. However, since it is unlike the first 2 World Wars it is very difficult to clearly identify it for what it is. But I will try to simplify it. Muslim extremism is attempting to take over the world and to do so as violently as possible. There is an enemy that is taking it to everyone, and only the amount of deaths is what stands in the way of people calling this a World War. A detail I believe they have every intention of trying to change very soon. This is not Islamophobia, this is fact based on their own admissions and actions. I believe it is accelerating a little faster than they wanted it to, but if the world doesn’t take appropriate action, it won’t matter if they were ready to move forward or not. I hope I am wrong. I hope, no I pray to God that nothing happens on September 11, that Israel will be safe, and that the good countries of the world work together to stem the tide of hatred and violence. But if I am right, God help us all. 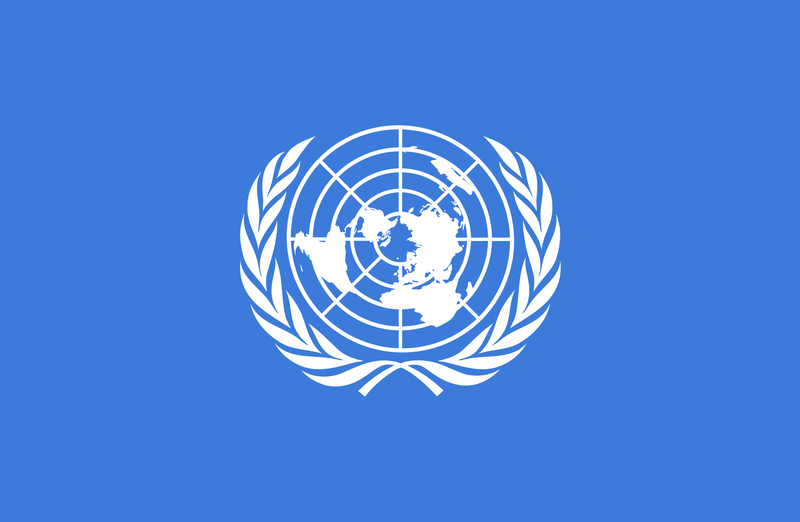 For consistently supporting terrorist organizations and for colluding with fascist regimes I propose that the International Criminal Court in the Hague open up an investigation of the United Nations. The United Nations has put its support behind terrorist groups such as the Palestinian Liberation Organization and Hamas for decades. It has worked closely with dictatorial regimes in Syria and Libya, to name only a few. It has provided funding to areas knowingly using those funds in corrupt manners. It has to this day not been held accountable. I urge everyone to share this. It may seem as some to be futile, but we must no longer remain silent as one the most corrupt organizations in world history continues its criminal activities. I write to you today out of concern for your reaction to a recent attack in Gaza you referred to as a “moral outrage and criminal act.” I will not address your outrage since that is a feeling one has and it is pointless to debate one’s feelings, but what can be, and in this case needs to be clarified is your definition of morality. The outrage you speak of is caused by Israel’s attack on a United Nations school in which 10 people were killed. It is without question another tragedy in a very tragic war. However, if you are to use the term moral outrage now, I believe it prudent to ask you what exactly you deem moral and immoral. Is it moral for “militants”, as your organization now refers to the terrorists of Hamas, to hide in hospitals and schools? Is it moral to consistently fire missiles at Israeli population centers with one intent, to kill civilians? You have moral outrage for Israel’s attack, an attack whose purpose was to target terrorists and sadly killed civilians, but you do not express similar outrage when Hamas targets Tel-Aviv with the sole intent of murdering civilians. I understand Israel is a stronger force and that it’s ability to defend itself has prevented the amount of casualties Hamas has hoped for, but is the action itself not one deserving of your outrage? Is it moral to agree to a cease-fire and shortly after ambush the opposing force’s soldiers killing three of them? Hamas has had numerous opportunities to stop the fighting but has rejected each cease-fire. If you truly feel so strongly about human life where is your moral outrage for the fact that Hamas insists on continuing the fighting? Where is the moral outrage with an organization using billions of dollars in financial aid on weapons and terror tunnels while the people it pretends to care for live in squalor? Is it moral that the leaders of Hamas travel in private jets and hide in luxury hotels in Qatar while it uses its citizens as pawns in its effort to wipe Israel off the face of the earth? If your outrage was truly sincere you would hear that while one side calls for the other’s destruction, the one you and your organization consistently oppose calls for peace. Myself, and many like me might listen to your organization more if it were not for the one-sided approach consistently exhibited when it comes to matters regarding Israel. I took some time to look up some of the resolutions and condemnations over the years and one in particular made me feel moral outrage. Just before Israel destroyed Iraq’s nuclear capabilities the United Nations passed a resolution calling for a nuclear-free Middle East, and soon after the attack passed a resolution condemning the attack despite the fact that Israel’s actions kept nuclear weapons out of the hands of a crazy and dangerous dictator. I also look back at the warm welcome received by PLO Chairman Yasser Arafat and to this day question the credibility your organization gave to someone who waged his war by murdering innocent civilians. There was no moral outrage then. The UN then proceeded to provide the PLO support laying the groundwork for future terrorist organizations to gain acceptance on the world stage. That fact alone puts a lot of blood on the collective hands of the United Nations even though it is something it will never openly accept accountability for. It did however very efficiently proceed to pass the resolution equating Zionism with racism. This treatment towards Israel has gone on for quite some time and is no surprise to anyone, but with all the facts so readily available today, your comments and the reaction of the United Nations as an institution are even more absurd than they were in the past. I could speak of other atrocities such as having Syria, Libya and China on Human Rights councils over the years and the lack of action against Syria and ISIS today, but that would take too long. The amount of criticism given to Israel while so many people are being murdered by brutal regimes and organizations all over the world, mostly Muslims I might add, is, and I use the phrase many like to use when criticizing Israel’s actions, a disproportionate response. Quite frankly, and I say this without apology, the organization you lead has shown itself to be anti-Semitic beyond compare, and has functioned as though it is clearly in the pocket of the corrupt and the criminal. While you call for investigations of Israel’s actions I call for an investigation of your actions and the actions of the organization you are running. However, no one, myself included, is naive enough to believe there will ever be full disclosure of what takes place behind the scenes. At the end of the day it is not about right and wrong, it is about money and power, something the United Nations has a lot of and therefore is bulletproof and untouchable. 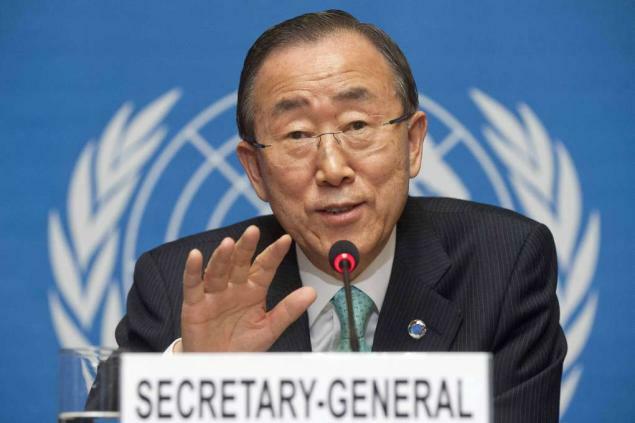 When you have the degree of responsibility for funding and influence that you possess, to abuse it as you are doing Mr. Secretary General is a true moral outrage and criminal act of enormous proportions.